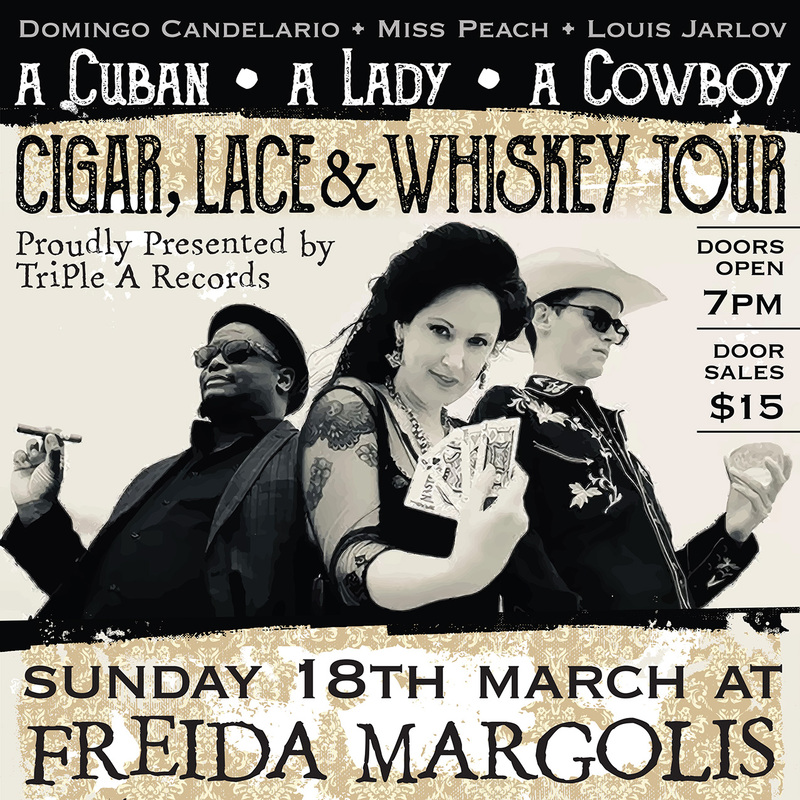 Triple A Records Presents ... CIGAR LACE & WHISKEY TOUR. The Trail Blazer of Neo Cuban music Revolucion! A powerful voice and stage presence. Threading song, beat-boxing and contemporary Cuban guitar. The dark storyteller and The Queen of Clubs. Tales of love, beauty & Danger. With depth and emotion, there is a timbre within her vocals, combined with the warmth yet bleakness of the accompaniment, This is Haunting Music K.Rowland. The charming, Jack of Diamonds. Louis has a voice that embodies the angel of Cash, and the charisma of the devil, winning over every heart he plays to. Smooth and full of kick, like golden whiskey on the rocks. Three solo artists from NZ Triple A Records are joining forces to bring audiences a show that will light up the stage and linger like smoke.